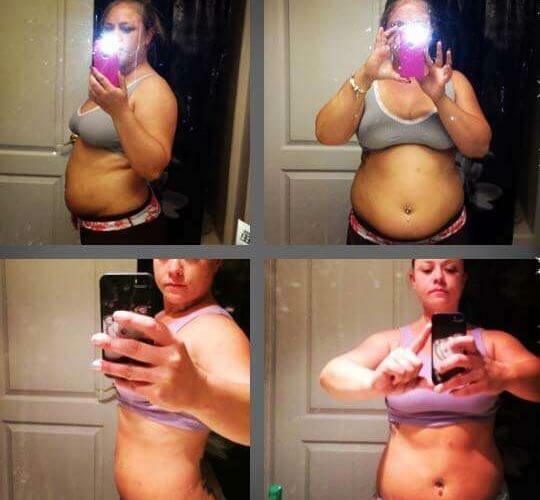 My name is Brittney Penney and I started with New Results Medical Weight Loss in June of 2013. 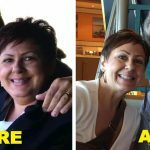 When I began the program at New Results, I was skeptical at first because I literally had tried everything! 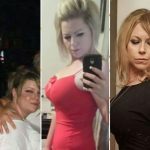 From HCG to Herbalife, to completely starving myself – then getting so hungry that I would binge from starvation which in the end, just made me gain more weight and feel worse about myself. I have always been in shape from being an athlete and staying in the gym as much as I could. Then, my early 20’s came and my metabolism slowed down to a full stop it seemed like! I didn’t realize this until I began to gain weight from eating everything I had always eaten. I also got an office job and my trips to the gym became less frequent as the days, weeks and months went by. I would look in the mirror and cry and wonder why I had let myself go. Then, I would find myself eating candy or fried food of some sort. This also made me feel terrible because I would be hungry and would indulge then would feel guilty for eating badly because I knew I was fat. Finally, I had had enough of feeling terribly about my body, hating the idea of shopping, listening to fat jokes from my family and my in laws and practically crying every time I had to get dressed because nothing fit me. I decided to do something about it! 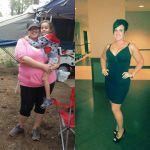 Instead of being a victim of the unhealthy environment I had created for myself, I took action when I was referred to NRMW by my previous boss and she looked fabulous! When I looked at the price I thought it was a little expensive especially compared to the previous diet plans I had tried. Then I thought about adding up all of the money I had spent on diet pills, laxatives, water pills, appetite suppressants, junk food, etc. and realized I would actually SAVE money if I went with New Results! For fear of sounding like an infomercial actor, I want you to know that I am proof that this really works if YOU actually work the program. Go every week for your weigh ins, take your “what to eat and what not to eat” card with you when you go out for lunch or dinner so you know what you can eat, try having a “cheat meal” not an entire day of cheating. Having the girls at New Results to hold me accountable for the week if I didn’t lose the weight was huge! I haven’t been working out much during my entire program because I wanted to lose the bulk of the fat before I hit the weights to tone up. I am now at my first goal of 30+ pounds lost and will be starting a rigorous work out plan in order to maintain my current weight and facilitate the loss of additional fat in order to continue decreasing my body mass index. As you can see from the attached before and after photos, I am now at my first weight loss goal and feeling 100% more confident about my body and I actually get excited to shop and pick a new outfit each day. A special thanks to Bret, Jessica, Erica and Crystal for always holding me accountable, celebrating small victories along the way and for giving me the motivation and determination to succeed. I wouldn’t be where I am today if it weren’t for them. 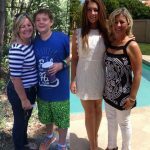 * 34 pounds lost and counting! * Results may vary among individuals and are not guaranteed.